There is not only terrorist violence, gratuitous and destructive that affect religious minorities in Pakistan. The attack on the Methodist Church in Quetta brings to light the difficult condition of religious minorities in Pakistan, especially Christians and Hindus who make up 2% (4 million citizens) and 1% (2.2 million) out ot a population of about 200 million inhabitants. 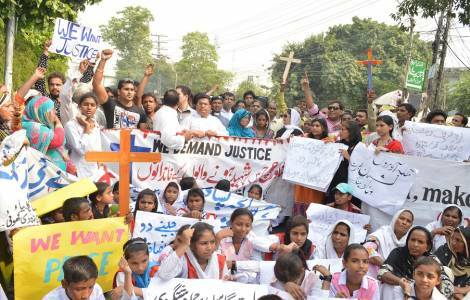 In order to analyze the conditions and perspectives of religious minorities, Christian, Hindu, Sikh, Muslim and Bahai leaders met in recent days in Karachi, at a conference organized by the "Justice and Peace" Commission (CCJP), a body of the Catholic Episcopal Conference in Pakistan, which has been working for the rights of religious minorities in the country since 1985 (...).